While children can only think of the sweet treats that they will receive on the day of Halloween, parents and even dentists grow weary as the holiday approaches. No, they are not scared of goblins, vampires, or ghosts. It is their child’s oral health that they are worried about. Thinking about those sweet, gooey, and hard candies make parents worry about its adverse effects to the teeth. But parents as much as possible would also want their children to enjoy. And that is where it gets tricky. Should parents send their children out for trick or treat? Yes! But before doing so, here are some tips for mouth-friendly holiday parents and children can enjoy. Talk to the child beforehand. Explain why is it essential for them to not eat too many candies and its negative effects on their teeth. Help them understand what the rules are for, and how it can benefit them once followed. Control the candies they received. As much as possible, divide the number of candies they received for a few days. Do not let them eat too much in one sitting. It is possible for them to eat too many sweets if they are not monitored. Consuming plenty of sugar is not only bad for the teeth but to the body as well. Educate them about oral health and wellness. Let them know the possible effects of overeating sugary treats. Showing them certain videos, stories, or even cartoon episodes that tackle tooth decay or cavities can be effective. It allows them to understand why they are told to not eat many candies in a way that is both fun and informative. It is actually advisable to let children enjoy their candies during or after meal time instead of snacks. During meals, the mouth tends to produce more saliva that is helpful in keeping harmful substances in the mouth under control. Saliva acts as a natural cleanser that removes residues on the areas that are not easily accessed by a toothbrush or even floss. Oral hygiene is a must. Make sure to teach them to brush twice, floss at least once, and rinse. Proper hygiene practices remain to be the effective first line of defense against any oral complications. Say hello to the dentist. It is best to bring the child before or even after the holiday at the dentist for preventive care procedures under pediatric dentistry like sealants, fluoride applications, and fillings. Make sure to bring your child every six months for a healthy and well-maintained oral health all-throughout the year! 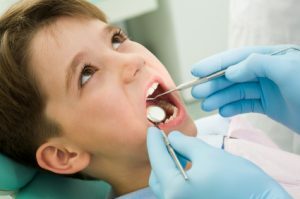 Get added protection for your child’s teeth with Pediatric Dental Services in Fort Myers, FL. Book your appointment with Independent Dental Care! Our dental office is located at 13611 McGregor Blvd., Suite 3, Fort Myers, FL 33919.